Developer RYDA Ventures is planning a live-work building with commercial space in Silver Lake, almost three years after purchasing a retail strip of properties. The Los Angeles-based firm filed plans this week to build 104 live-work units and 9,050 square feet of commercial space, records show. The four-story complex would rise over five parcels from 3303-3327 W. Sunset Boulevard. RYDA purchased the retail strip from a church — which also had a property there — for $7.8 million in May 2016. The existing properties encompass 27,500 square feet. The developer is taking advantage of incentives from L.A.’s Transit-Oriented Communities program to increase the height and reduce the required open space. Such bonuses are allowed for projects that provide affordable housing near public transportation stops, and they have seemingly turned into commonplace strategy for developers throughout the city. 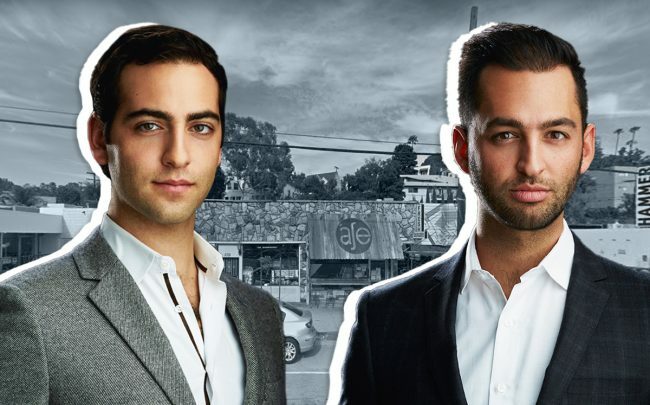 RYDA, led by brothers Ryan and Daniel Neman, has developed retail and restaurant space in Los Feliz and in the Arts District. Earlier this year, the firm sold the Pettebone building in Downtown L.A. to a South Korean gaming developer for $22 million. RYDA had converted the 43,030-square-foot building to creative office space. Restaurateur Dana Hollister’s long-planned conversion project is also finally coming to fruition in Silver Lake. Earlier this year, she filed plans to change the Pilgrim Church on Griffith Park Boulevard into a hotel with a restaurant and bar.